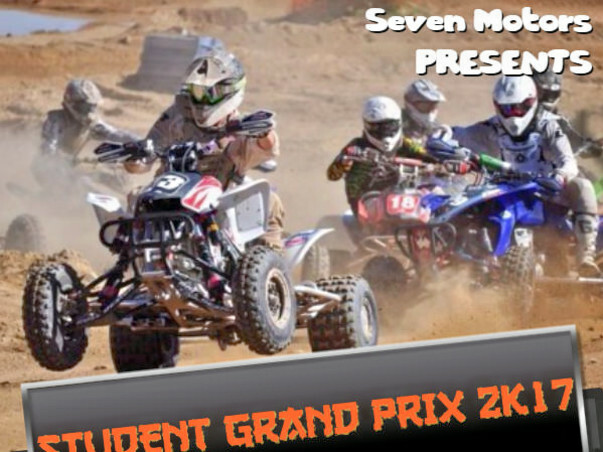 Seven Motors was founded in 2015 by a group of engineers who had completed their engineering in the same year. Like 1.5 million engineers passed every year, we also completed ours by studying and developing concepts but we all know that it's not enough. Engineering is all about application. We think that engineering should not be limited to Time frame, semester exams and labs, rather it is a process of transformation of knowledge into skills, skills into imagination and imagination into reality in indefinite time frame. Justifying a famous proverb that a best idea comes from our own surroundings and difficulties, we think of STUDENT GRAND PRIX. 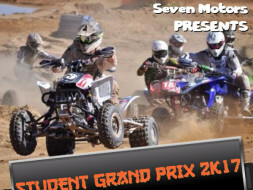 Student Grand Prix is an elite inter collegiate competition, where different college team will compete with each other in terms of Design, Fabrication and through a series of tests performed to check the working efficiency of fabricated All Terrain Vehicle (ATV). The team with better performance will be winner. The team will get cash prizes worth of 2,50,000. Certifications and job recommendation in core company. The competition is scheduled to occur in February 2017. We all know about Training and Placement department present in each and every colleges, they are responsible for making the students placement ready and just like that after placement there is a training department in the company for making the employee company ready. We shorten this process and make the things easy for both colleges and companies to select the best and trained student. We bring Industry oriented processes in the college campus itself, so that it will be easy for students also to work in their core companies. It is almost two years of starting of our company and we are moving step by step towards our goal. Without getting any financial support from investors/external sources, we funded ourselves because we did not want to loose our dreams because of shortage of money. We had heard about many Startups who died before coming to this competitive world or even after two years of its incorporation because of not funded from external sources. In the last two years we have achieved many things and there is many more to achieve. If you like concept of our company, we request you to support us in any way, so that we together build a friendly environment for Startups. We urge you to donate as much as you can and share this campaign all over your social media. Every small contribution will go a long way in helping us in our endeavors!